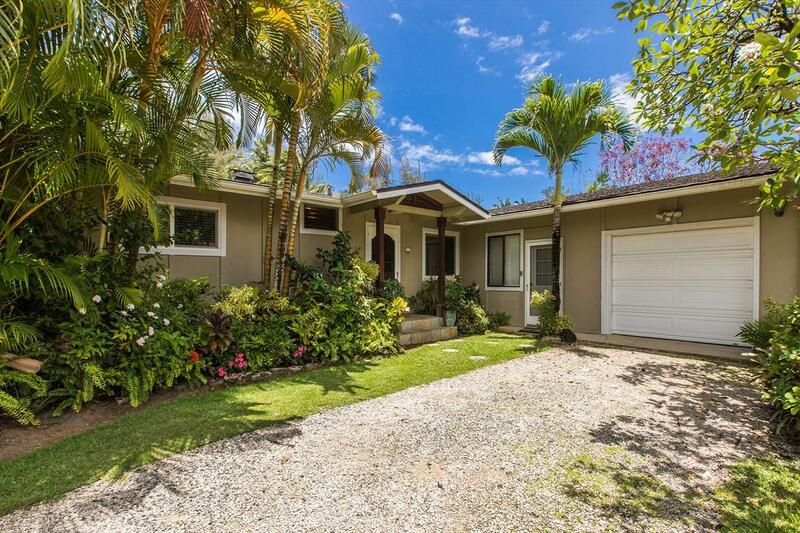 Relax and unwind in this easy island living beach home on beautiful Hanalei Bay! Grab your board, walk across your lawn straight to the beach and into the water. 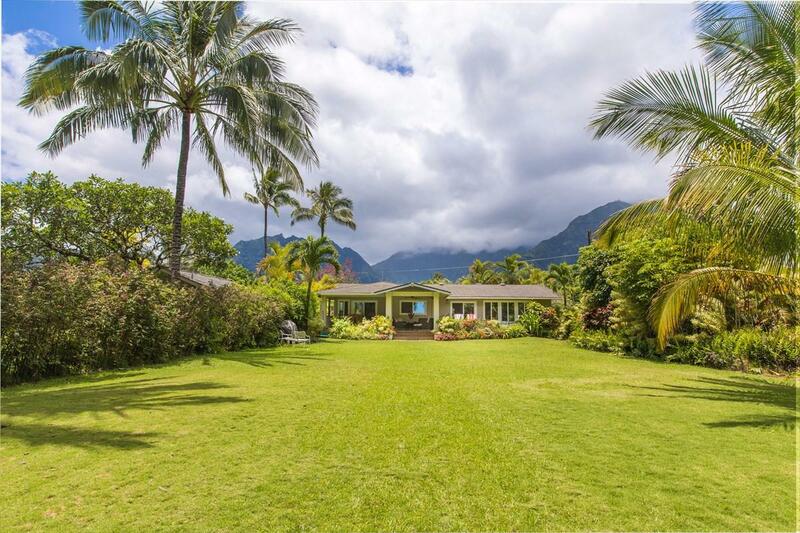 Play bocce ball, croquet, or badminton on your expansive backyard. 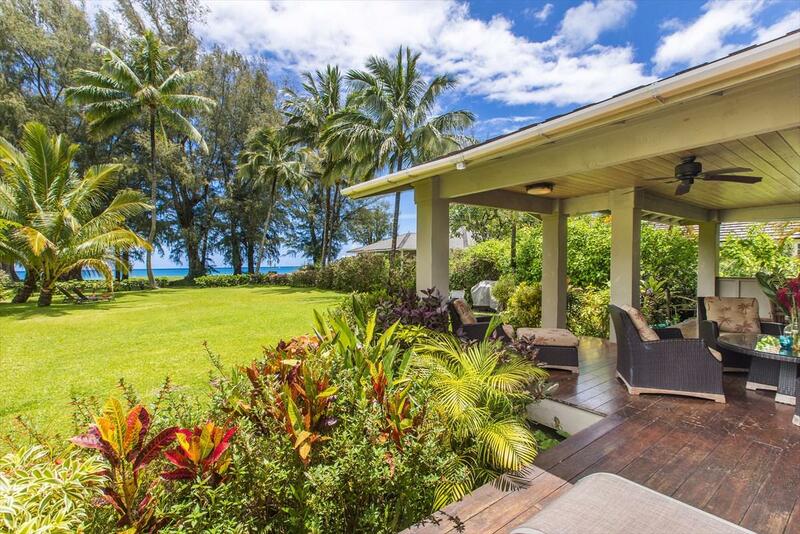 Lounge on your covered lanai and enjoy the trade winds as they lull you into peaceful contentment. Pedal out on your beach cruiser into Hanalei town for a myriad of dining and shopping options. This three bedroom, three bath home with workshop has an open floor plan perfect for entertaining friends and family. This permitted vacation rental enjoys strong income when you are not here enjoying paradise. 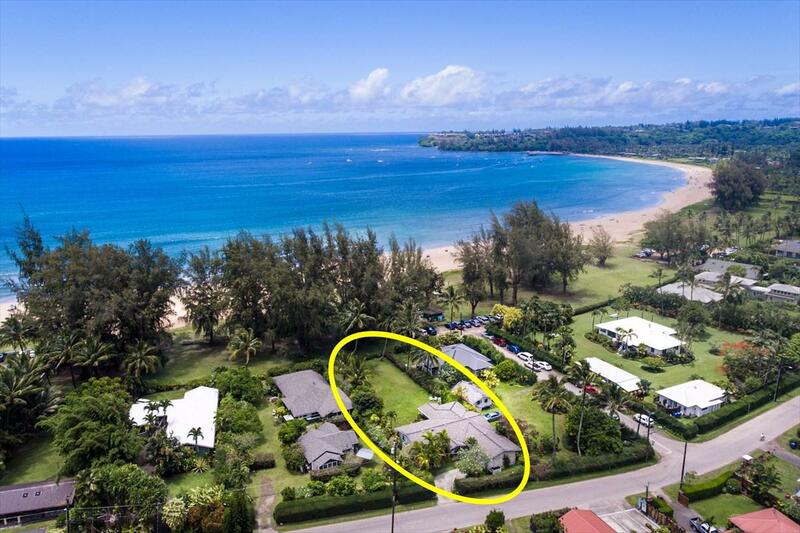 Views of Hanalei Bay can be seen from the living, kitchen, and dining areas. From the back yard, enjoy the spectacular backdrop of the Namolokama mountain and cascading waterfalls. Its the perfect family/vacation home located in one of the most beautiful places on earth.